The NuMe Travel Kit conveniently includes everything you need for beauty on-the-go and is essential for any jet-setter. The NuMe Travel Kit is the perfect size to fit in your luggage and gives you styling options while you are traveling. Straight styles, wow waves, and natural-looking curls are effortlessly created with the Ionic Dryer, Curling Wand with interchangeable barrel, and the 100% Tourmaline Straightener. What's inside? Travel-friendly favorites are all in one for easy style on the go. Let's start with the Ionic Hair Dryer. I don't know about you, but I laugh at those teeny hair dryers in hotels. Do they really think I can dry my hair with this thing? Problem solved. 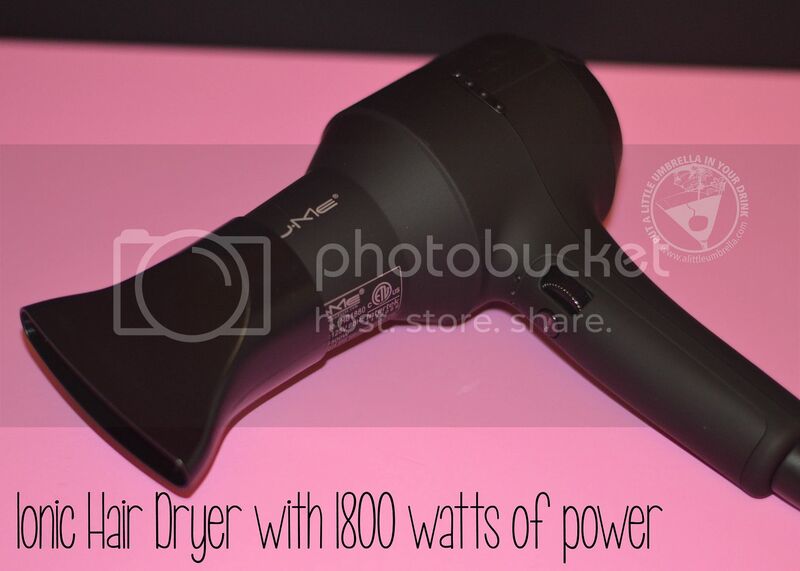 Included in the kit, you will find a lovely Ionic Dryer that produces professional blowouts with 1800 watts of power. It utilizes negative ion technology to eliminate frizz and dries hair in less time for beautiful, lasting results. 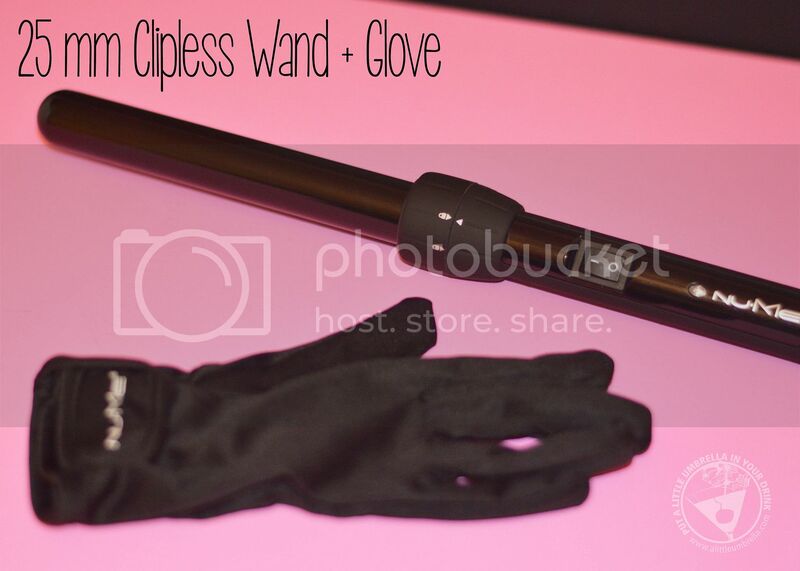 The 25 mm (1") Clipless Wand quickly heats up and curls with a clipless barrel that can be replaced with your own NuMe 19 or 32 mm barrel. The Infrared heat technology ensures healthy, shiny finishes on any hair type. You just click in the barrel and you are off to curl-ville. Easy to use and I like the 1" size. Straight styles are also attainable with this kit. 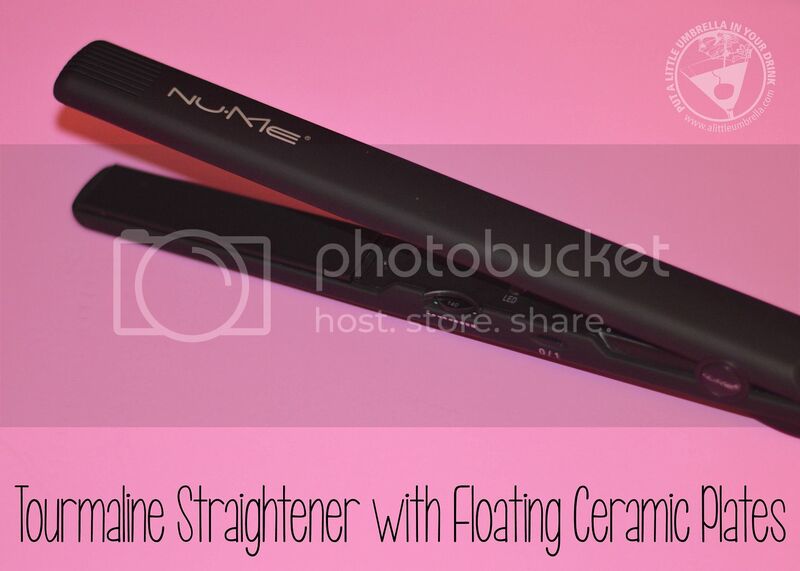 The Tourmaline Straightener uses floating precision ceramic plates for easy passes that won’t tug or damage hair. This is a very generous sized straightener that just glides through your hair! The NuMe Travel Kit is so smart! As you can see, everything fits just perfectly into this compact carrier. The kit includes three full-sized products: a Straightener, an Ionic Blow Dryer, and a Curling Wand! 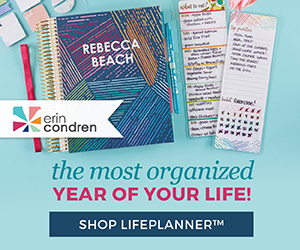 This is definitely a beauty-on-the-go must-have for the frequent traveler on your list. 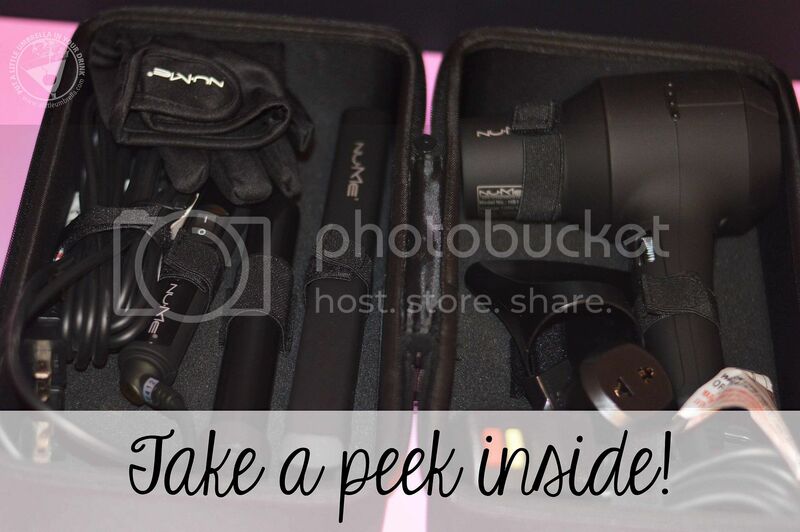 There is a special offer on the NuMe Travel Kit through December 31, 2015. 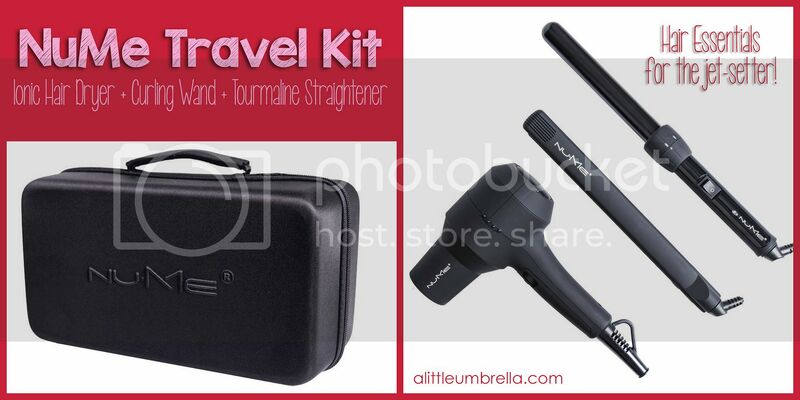 Just use the promo code TRAVELKIT97 to get the entire kit for $97! 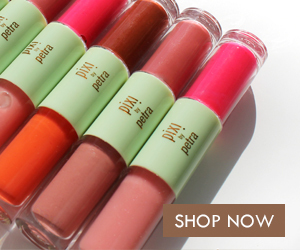 This is the ideal gift for any beauty lover this holiday season! The NuMe Travel Kit is featured in my 2015 Holiday Gift Guide. Buy It :: You can purchase the NuMe Travel Kit for $249. 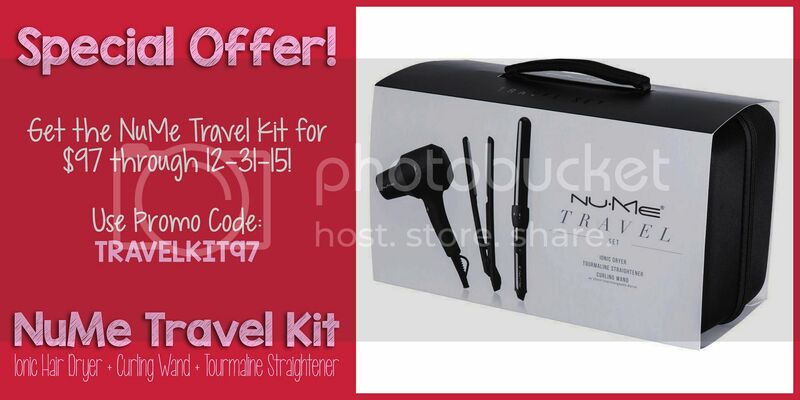 Use the code TRAVELKIT97 to get it for just $97 through 12/31/15. 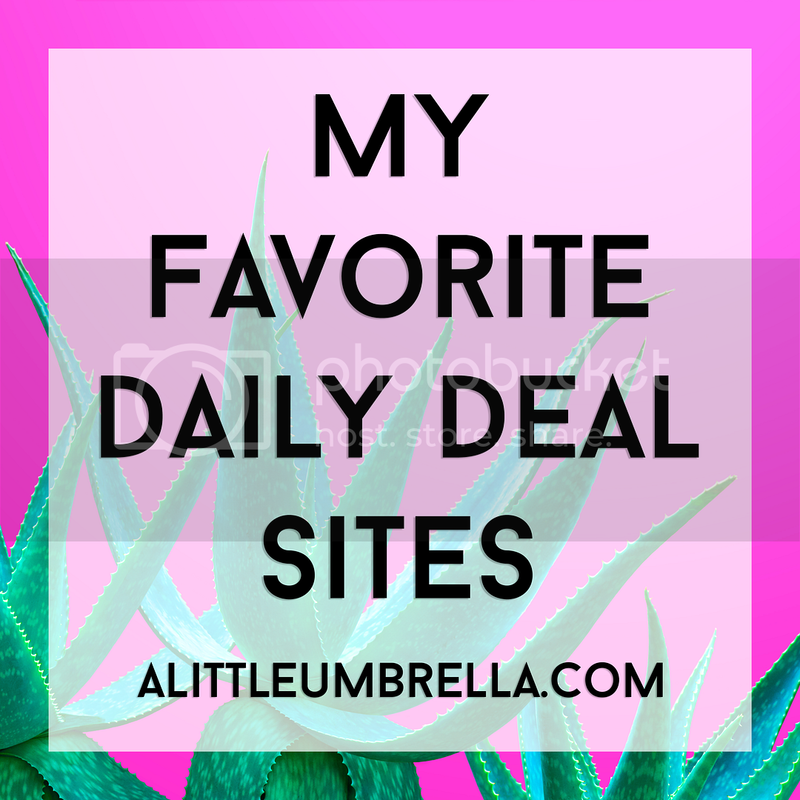 More Special Offers :: Don't miss these additional offers just in time for holiday shopping! *All codes mentioned in this post expire 12-31-15. 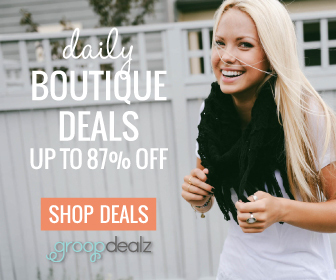 *The sitewide offer is valid on a curling wand, flat iron, hair care accessory, or a styling set. This offer excludes nail care and holiday catalog.